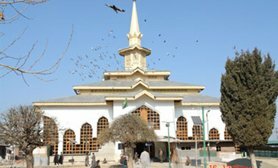 Built to commemorate Sheikh Noor-ud-din (Patron saint of Kashmiris), Charar-i-Sharief is the oldest sacred shrine in the state of Jammu & Kashmir. This 600 years old wooden shrine narrates an array of historic saga. From its construction in the 18th century to its vandalism and renovation, Charar-i-Sharief propounds valor and perseverance. 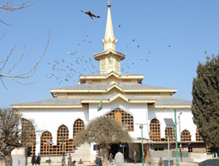 Located 40 kms away from Srinagar, the shrine is amongst the most popular element of Jammu & Kashmir tourism. 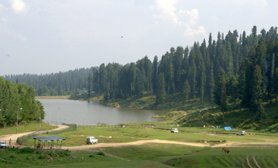 It is revered highly by Muslims and Hindus and has emerged as a popular Yusmarg tourist places to visit. 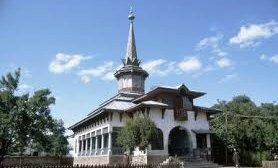 Conferred to the followers of Rishi Mat, it is approached by millions annually during the Urs celebration; also people from all faiths swarm the shrine to seek the blessings of the patron saint of Kashmiris throughout the year.